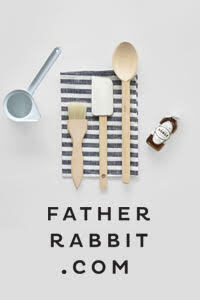 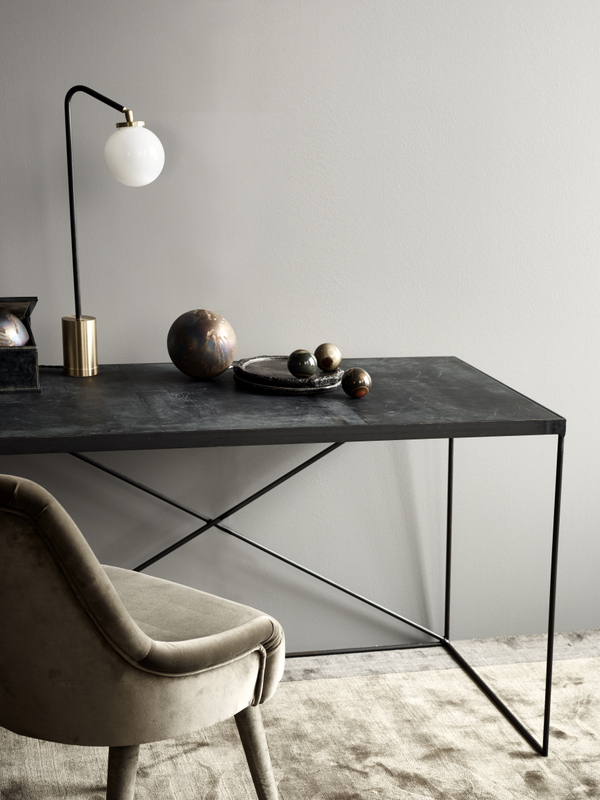 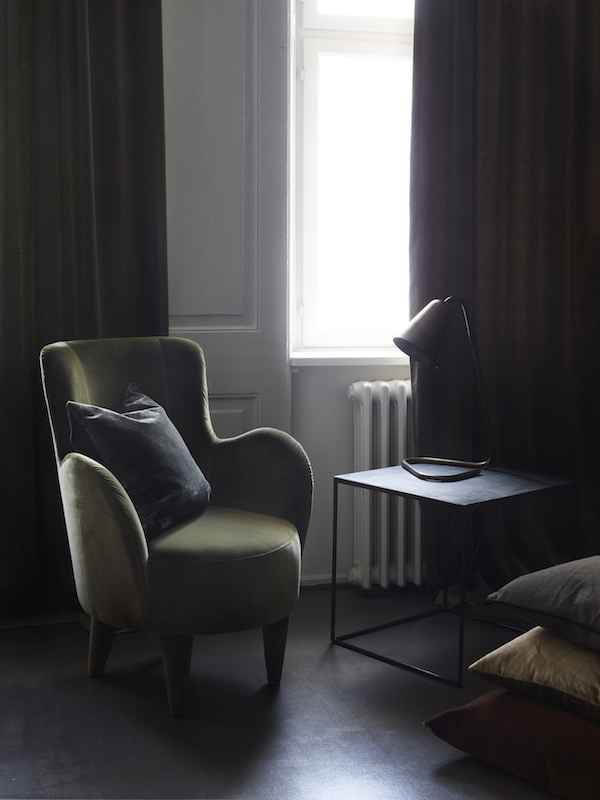 Established in 1994, Rue Verte is a high-end interior design shop in Copenhagen. 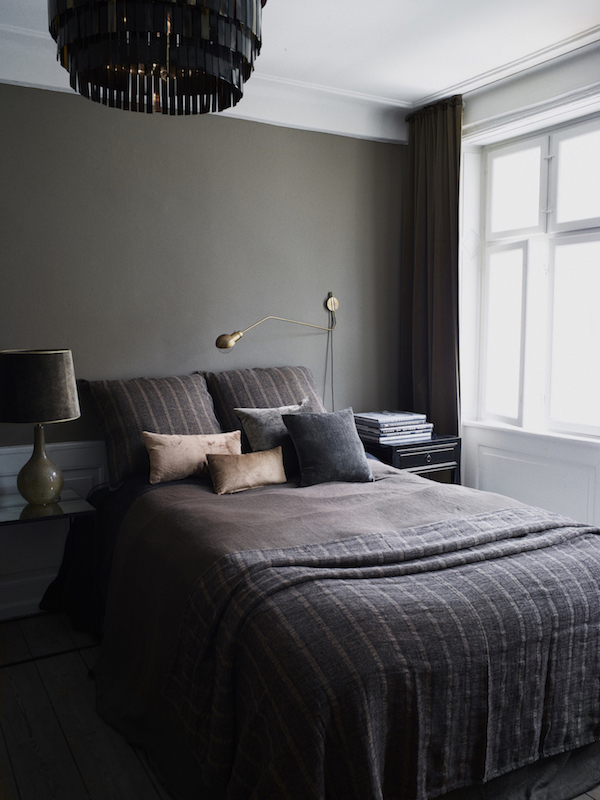 Located in a 250 year year old building, it is described as a maze of inspirational settings, with each room individually furnished and decorated like the various rooms in a private home. 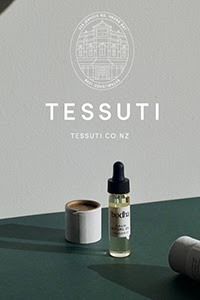 Judging by their stunning range of furniture, lighting and ceramics this sounds like a dream shopping destination, but for now I'll have to settle for admiring their beautiful imagery. 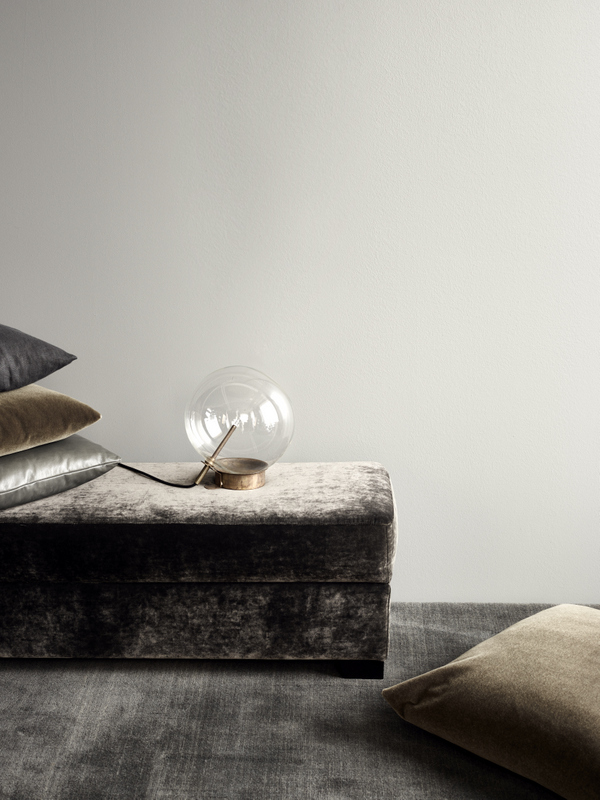 If like me you're lusting over velvet everything right now, there is plenty of inspiration. 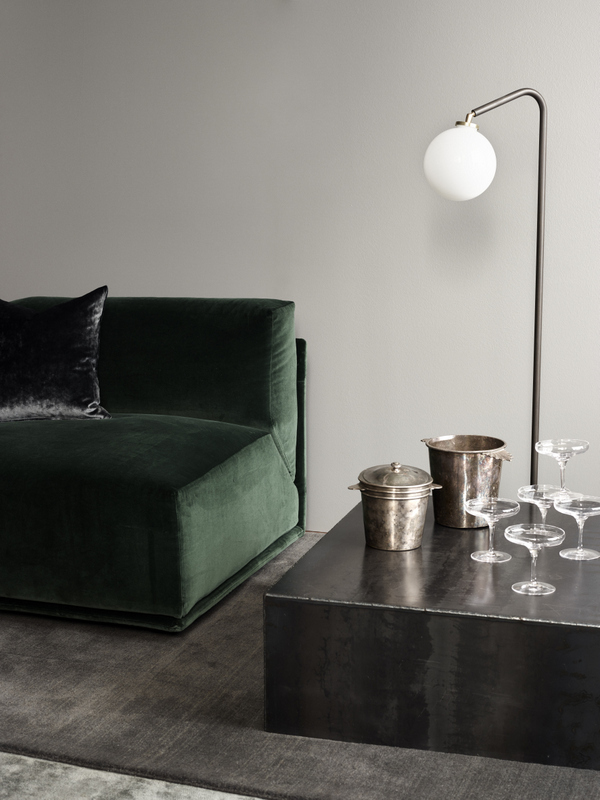 While I'm partial to the blue and green jewel toned sofas and cushions, the beige velvet is absolute perfection. 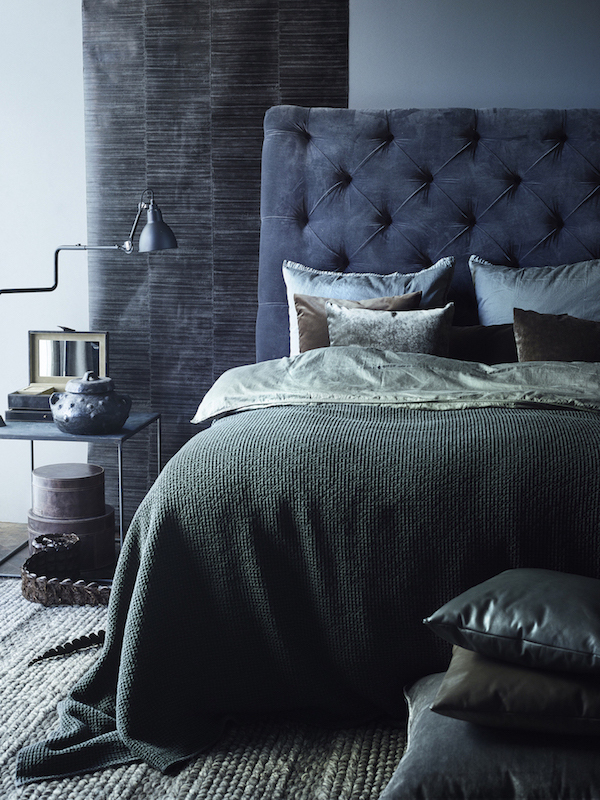 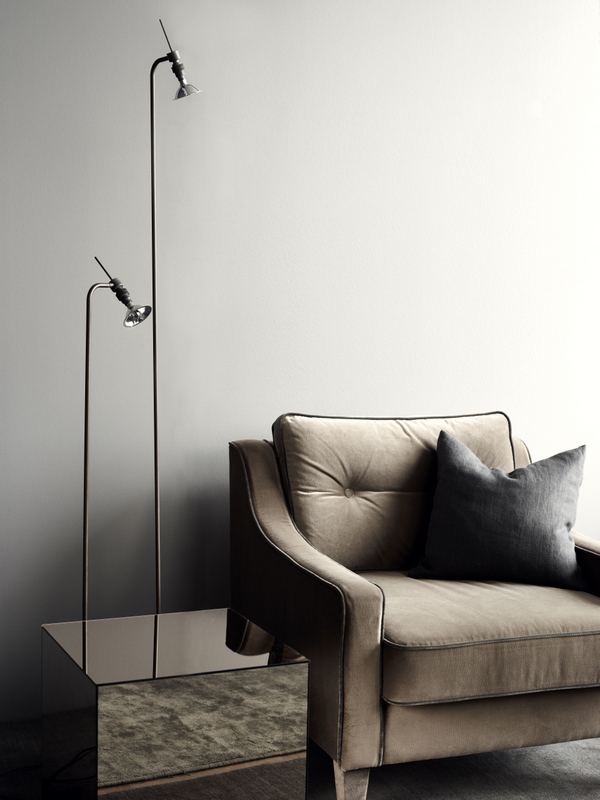 I especially love the image above which features the Edward Velvet Armchair and Stockholm Mirror Table. 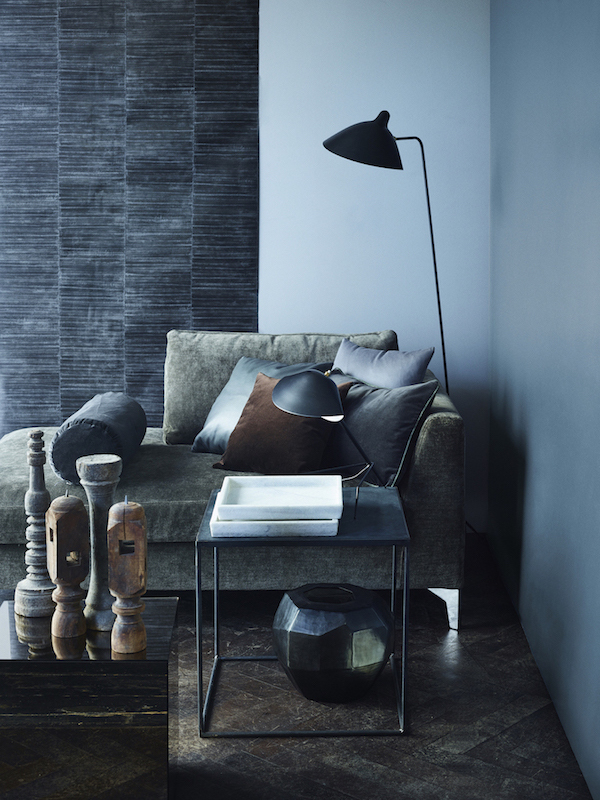 There are also many covetable lighting pieces such as the beautiful hand-made Bolle Lampada and iconic Serge Mouille Table Lamp. 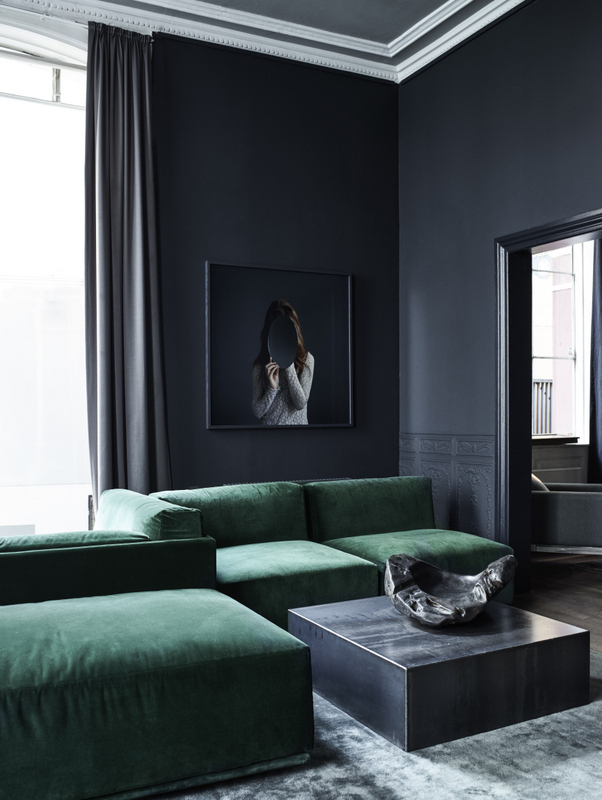 Omg - the combination of green sofas and dark walls ist simply amazing!